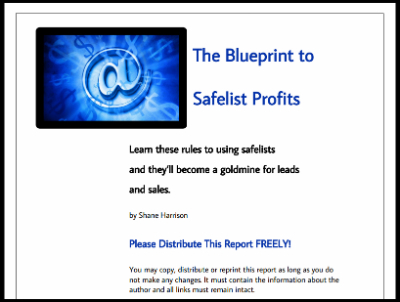 If you use safelists or are thinking about using them, here is a free report with safelist marketing tips. Safelists can drive converting traffic to your offers if done the right way. These are the tips that I've used to get results plus a number of do's and don'ts for safelist marketing. In addition to sharing my tips, I'm also offering this as a free report that you can share to help you build your list.